BMW’s upcoming G30-generation 5 Series is about to make its worldwide debut in a few weeks. There has been much speculation as to what the next-gen 5 Series will bring. We know it will be built on the new CLAR chassis, as is the new 7 Series, and it will feature a suite of new engines, such as the B48 and B58. But those are just the basics, what about the details? Well, the US-spec ordering sheet for the G30 BMW 5 Series has just been leaked and we get to take a look at and all of the options that will be available. If you’re planning on buying a 5 Series in the next couple of months, this is seriously worth a look. 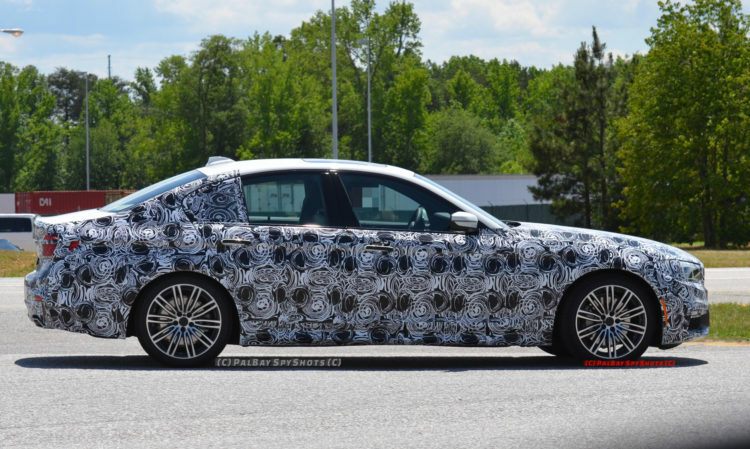 First, we get to see the four model variants of the 5 Series that BMW will launching first, there will be the BMW 530i and 540i, with both cars having an xDrive all-wheel drive variant. The 530i will get BMW’s B48 2.0 liter turbocharged four-cylinder engine and the 540i will get the B58 3.0 liter turbocharged six-cylinder engine. Those are the only cars listed on this order sheet, but we’ve heard that BMW will also be launching an M550i variant. It may just not be available at launch, which is why it could be missing from this sheet. We also get to see all of the standard options, as well as available options and packages. There are three new color options for the upcoming 5er, Dark Graphite Metallic, Atlas Cedar Metallic and Bluestone Metallic. For the 530i, the same two SensaTec seating colors, Canberra Beige and Black. As for real leather options, both the 530i and 540i will have Dakota and Nappa leather options to choose from, with two new Dakota leather colors, Cognac and Night Blue. All real leather options have contrast stitching. As far as packages go, there really isn’t much new for the G30 5er. It’s your typical suite of BMW packages, like the M Sport package and Technology package. There are a couple of new options that are interesting, though. One of them being Gesture Control, which seems to be a standalone option. That’s interesting that it isn’t standard and, frankly, kind of refreshing. The G30’s new Integral Active Steering (rear-wheel steering) is also available as a standalone option and doesn’t seem to be featured in any packages. There’s also the switch in premium sound systems, with Bowers & Wilkins Diamond Surround Sound replacing the Bang & Olufsen system in current 5ers. There aren’t too many changes in the options list, but there are some interesting new additions. While the new G30 5 Series should be more of an evolution than a revolution, in terms of style and design, it will be a drastically different car underneath the skin. In terms of dynamics, comfort, performance and luxury, the new 5 Series should be much improved over the outgoing car, even if the options list isn’t very different. Through the Generations: Is the new G30 5 Series one of the best looking 5 Series’ ever?